Was having a chat on twitter with @Converse_Africa and I was reminded of the love / hate / misunderstood relationship I have with sneakers / tekkies etc. I don’t really wear sneakers, of any kind, I just don’t know how. My feet feel gigantic and my ankles are tiny. The last time I had running shoes, for example, was in High School – I just don’t well in that department… but it’s okay. 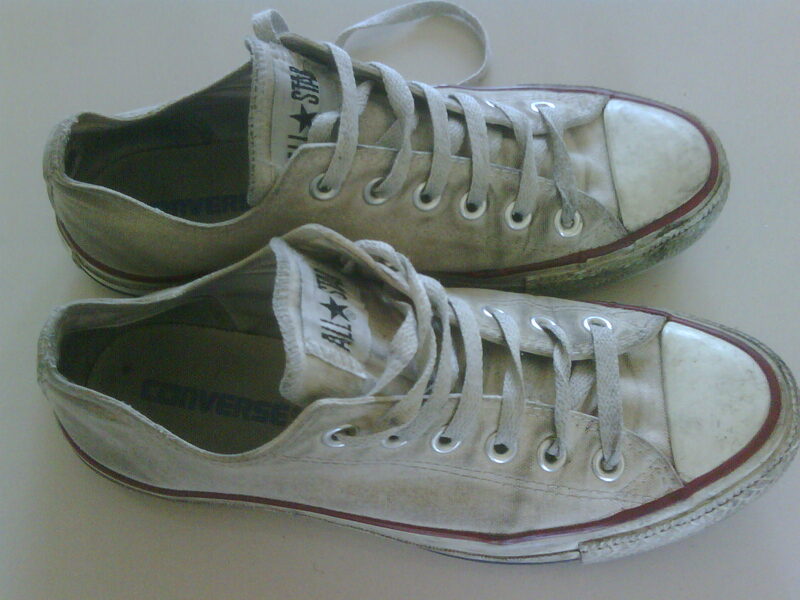 Before my Smirnoff globetrotting trip in 2008 started I decided to break this laceless life of mine and I got myself a pair of white Converse All Stars. The plan was to wear them at least once in every single city /island we visited and never wash them until until I got home. I did, it was fun, and they soaked up love in every city. 13 months, 32 odd cities and taa daa, my not so white All Stars. I tried to wash them once, but then felt bad, as though I was washing away memories… this is where the trouble begins. I have this really cute outfit I’d like to wear today, and in my head it would look great paired with my All Stars. Will I be judged for wearing a really awesome skirt and dirty shoes? 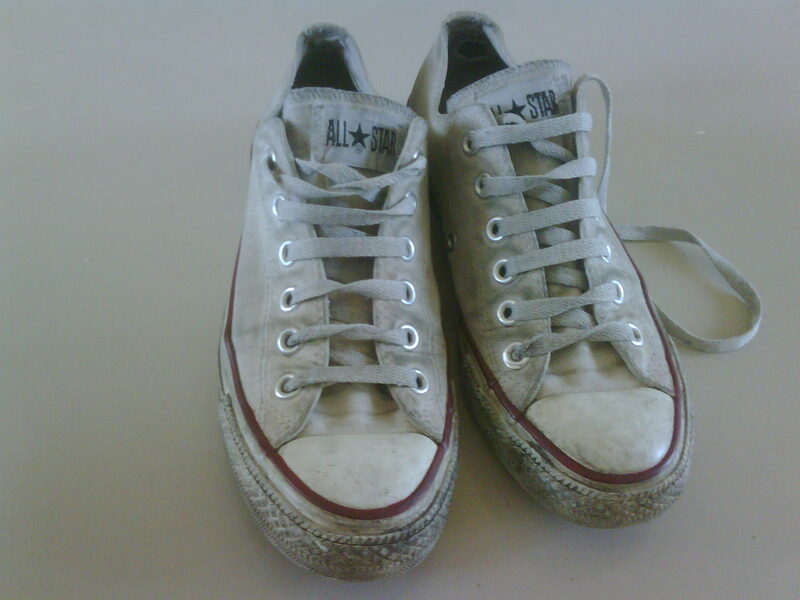 I was once told that All Stars shouldn’t look brand new, and the ‘dirt’ gave them character. I’m not too sure about that.